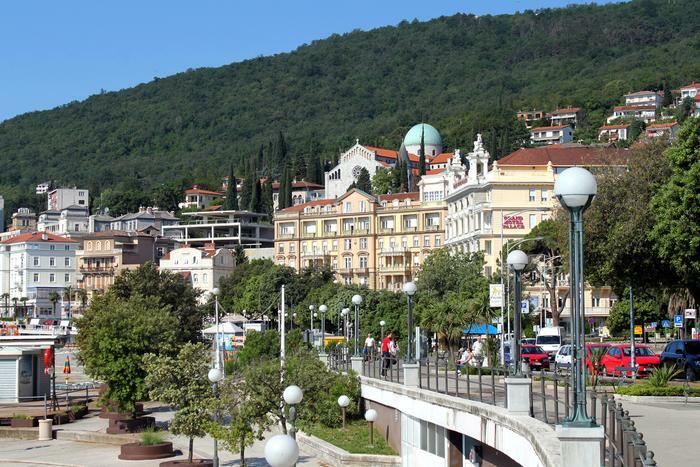 Opatija, one of summer resorts with the oldest tradition on the Adriatic,is an ideal place for leisure along seaside. That is why lungomare, a seaside promenade streching 12 kilometers along the coastline, was built already in the 19th ct. It is a place with a breathtaking view, offering most precious moments of repose. 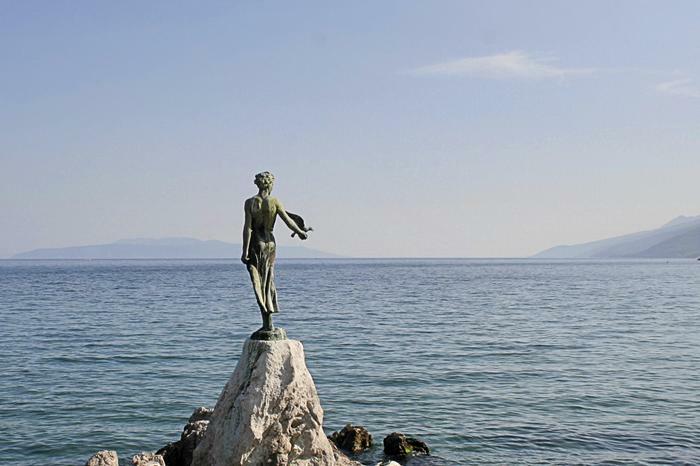 Opatija and its panoramic view have almost become one with the statue of Maiden with the Seagull. Positioned on a promontory, coming out of the sea, the Girl greets passer-bys. Some time ago, at the same place stood a statue of the Madonna del Mare, erectred to keep vigil over the soul of a count lost at sea, by his greaving family. 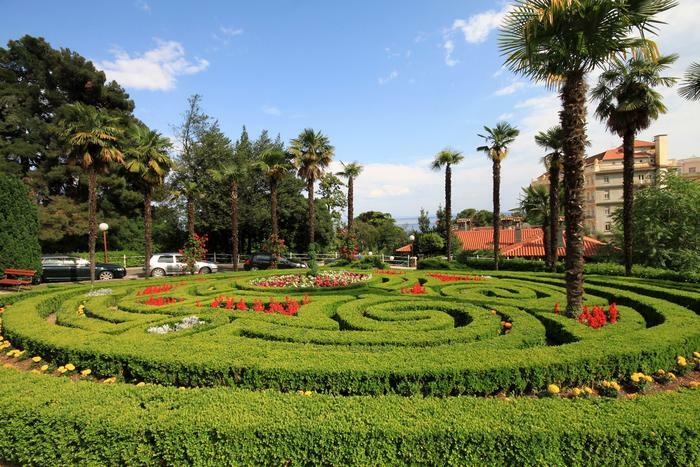 Opatija has meticulously spruced up its greenery. Park Angiolina stands out among other parks by its many species, brought from exotic, far away countries. This horticultural monument is decorated in the style of English and French gardens, with its little pathways, and air filled with the fragrant scent of flowers. For a real gourment treat, you should definitelly stop at Volosko. 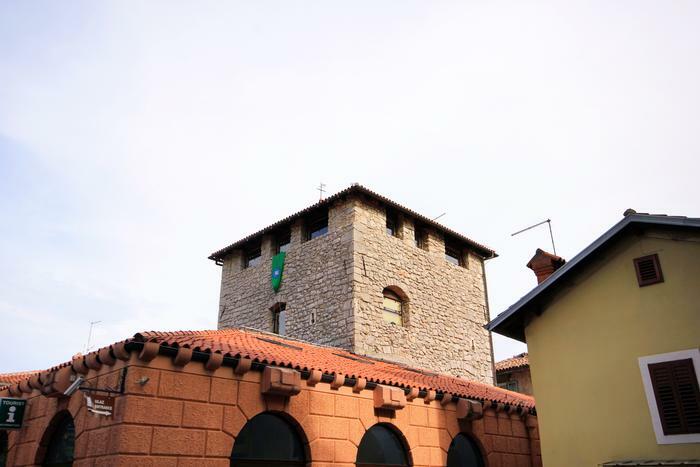 Among wide choice of restaurants, you can visit one of the two places listed among the top European restaurants (JRE). In case you choose a windy day for a walk down the promenade, you could hear spooky noises coming from the cave. Those strange sounds are exactly the reason why the cave got such a name. 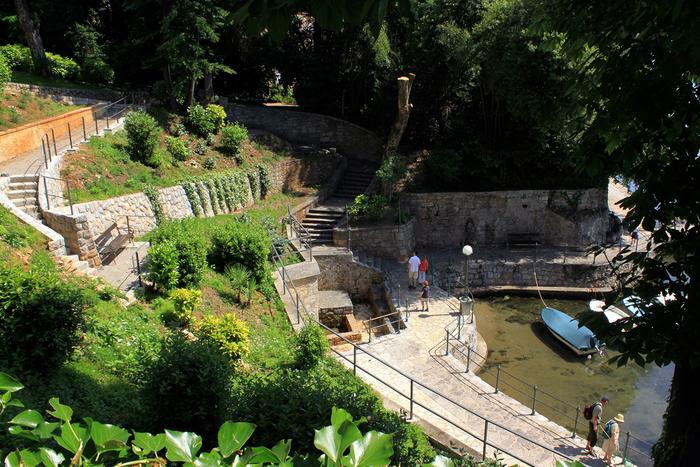 At the end of its path, Lungomare will take you to „Little Vienna“. 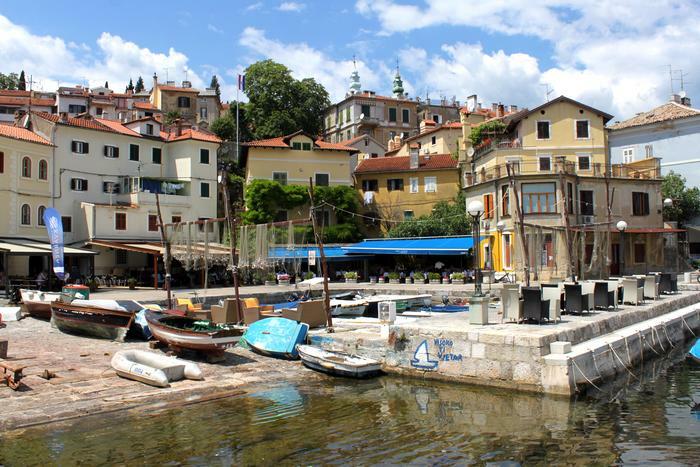 Many Austria-Hungarian exclusive and renovated villas, like in Opatija, .give a very special 19th century's Central European atmosphere to this small Mediterranean town.